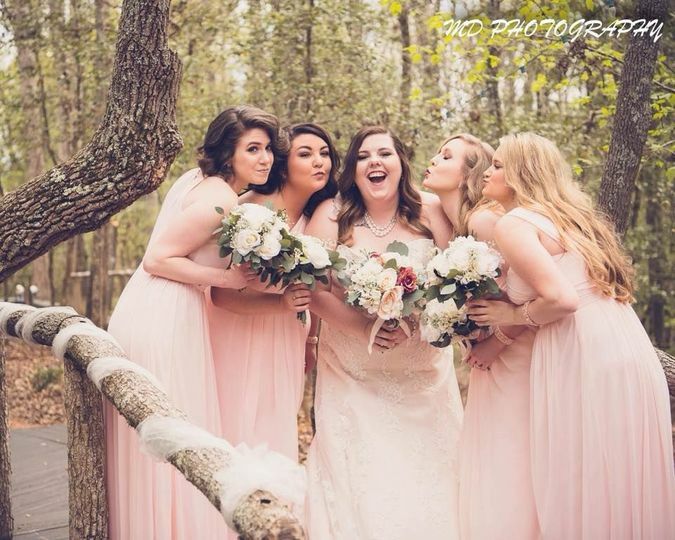 Bent Creek Farm is a rustic barn venue for couples’ weddings in the greater Belton, South Carolina area. 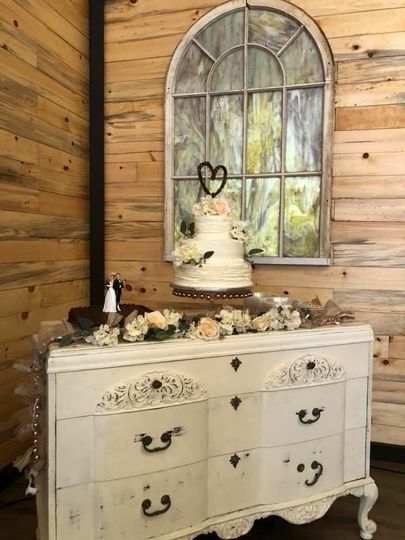 This Christian wedding venue features polished country-chic spaces for couples’ weddings both indoors and out in nature. Couples will find this farm located approximately 50 minutes south of Greenville, South Carolina. 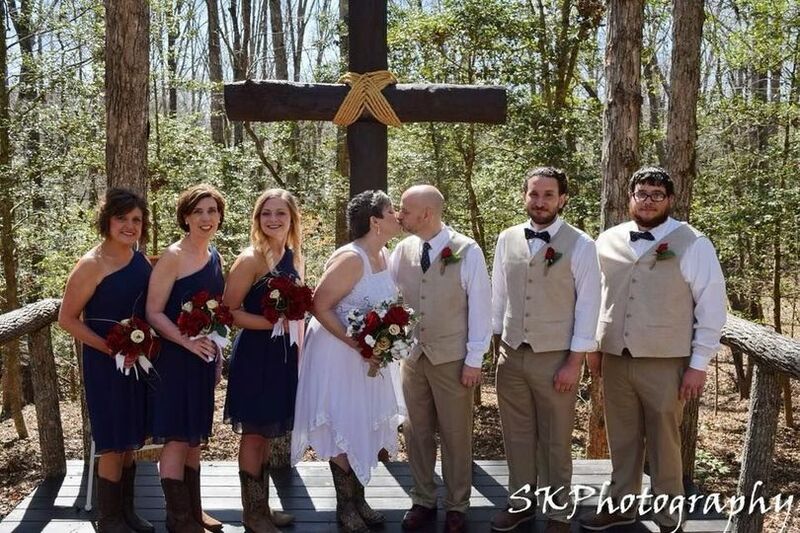 Couples can invite up to 200 guests to their wedding at Bent Creek Farm, where they will find many spaces in which they can hold their wedding. 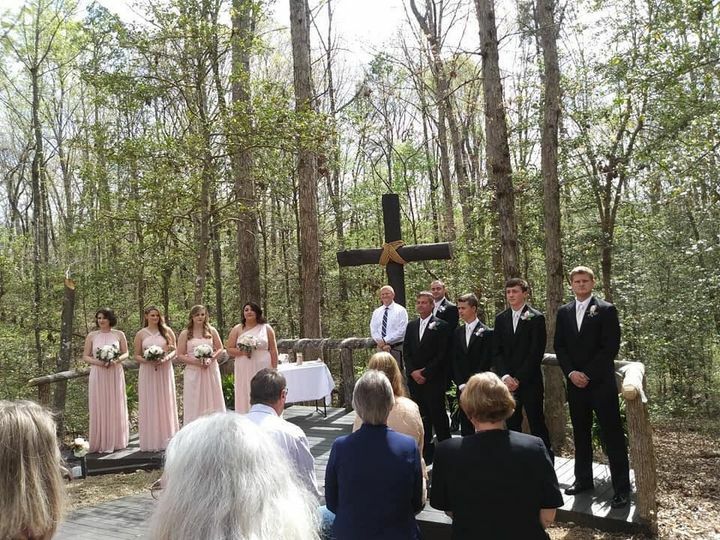 Outdoor ceremonies can be held near the tall grove of trees. Couples will find a small deck-like platform with a wooden railing around three sides that serves as their altar for outdoor weddings. A large wooden cross stands in the background with trees just beyond it. 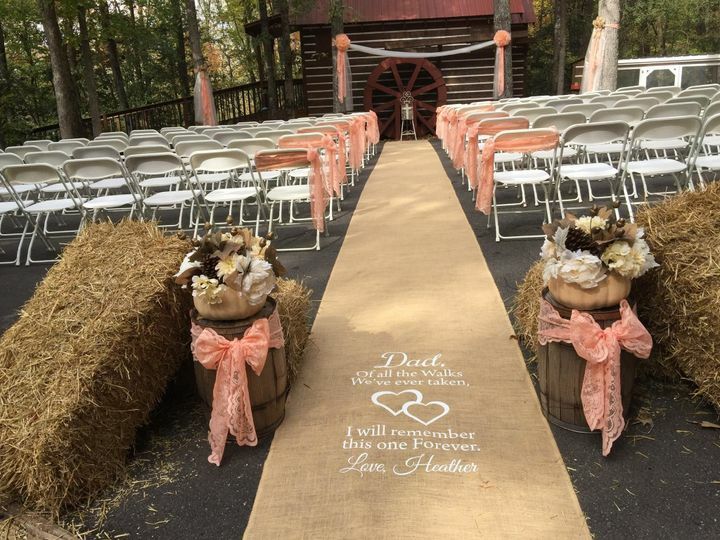 Couples can exchange vows at this rustic location, or they can choose the more refined outdoor area. 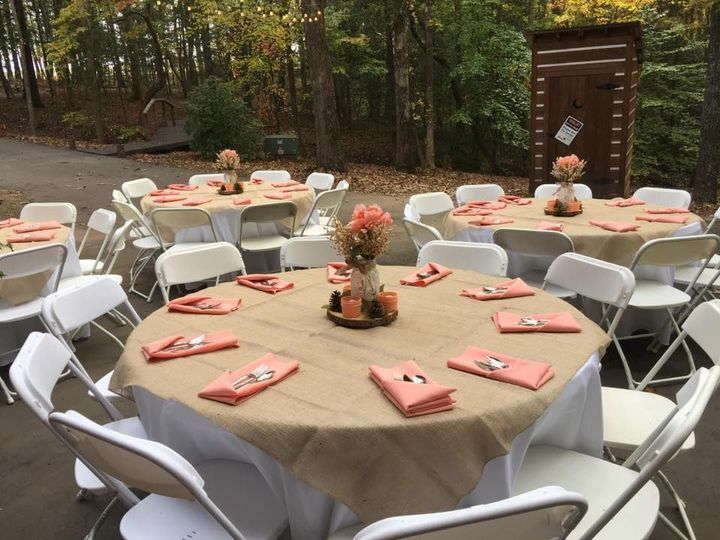 A paved patio makes the perfect setting for guests’ chairs while couples marry in front of a small log cabin structure in the woods. A rustic wagon wheel makes a charming finishing touch along with several bales of hay. 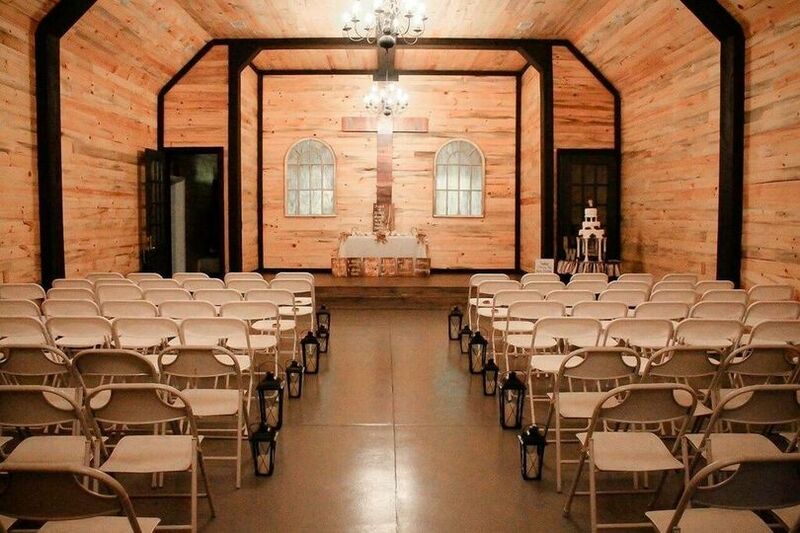 Couples can also choose to have their ceremony in the barn, which seats up to 130 guests. The entire interior of the barn is made of a polished wood, with a wooden cross built into the wall behind the altar. 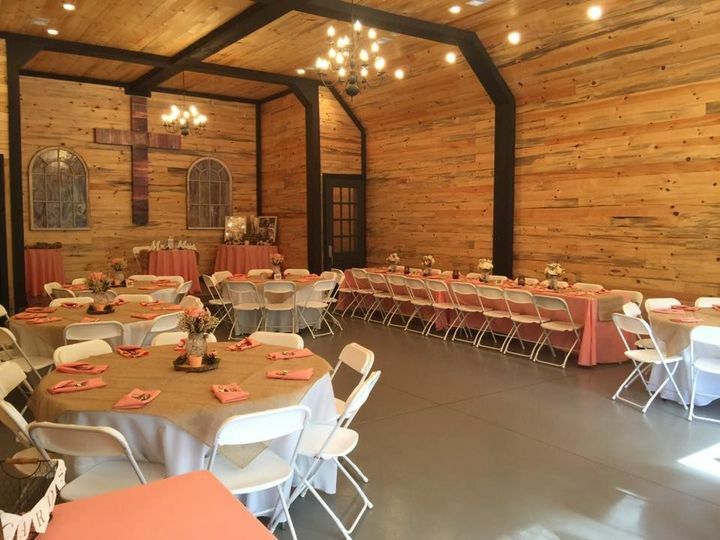 Couples can also use this interior barn space for their reception, with plenty of room for dinner and dancing on the finished floors.